The Chinese made the world's largest bus! 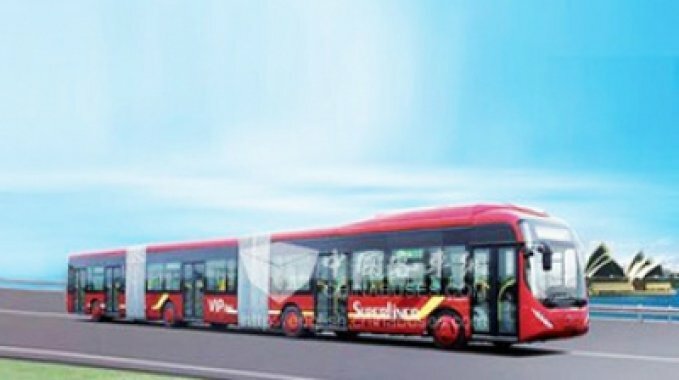 Chinese company Youngman presented the world's largest bus, which can accommodate up to 300 passengers. Novelty has a complicated name JNP6250G.